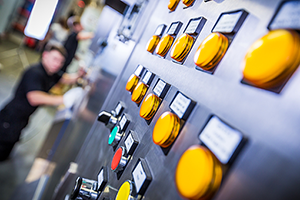 Halcyon Drives are specialists in variable speed drive and custom built control panel systems for a wide range of industrial process control and automation projects to customer specific requirements. Control panels can be manufactured to EN60439-1 Form1,2,3 & 4. Our panels can range from simple operator consoles or starters to complex PLC controlled networked systems, for a wide variety of industrial applications. Our state of the art modern factory is located in Leeds suitable for offering service and support throughout the UK. Automation applications and solutions are based on European harmonised standards and technical specifications to meet design, control and safety criteria. All schematics are produced utilising AutoCAD software. At Halcyon Drives, all components are selected from international main source suppliers, whose own accredited standards of design & manufacture meet the most stringent life tests for real world situations. With our wealth of experience in Power Transmission, we can offer the total solution supplying the full package from the Control Panel, to the Motor and final drive to the driven machine shaft. All drawings are produced on AutoCAD using current European Symbols. Our Cable Numbering and Cross Reference System enables speedy location and identification of Cables and Components. Each Engineer produces their own Design Drawings, enabling us to work efficiently by eliminating the need for Engineering Sketches requiring conversion into CAD Drawings by a CAD Operator. Supply Motor Control Centres with ASTA Certified Busbar & Riser Systems and fit out with Starter Gear providing type ‘2’ co-ordination to BS EN60947. 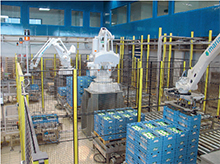 Our experience in automation has identified a growing need to offer Turnkey projects providing Project Management on a host of different applications or upgrades of existing machines or processes. 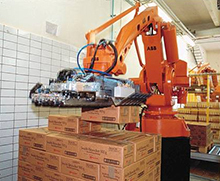 With this experience, we have used ABB Industrial Robots to meet the demands of modern day production on reducing costs and eliminating boring & monotonous manual labour job functions. They are used on a range of applications from any Mechanical Handling to Palletising applications, Paint Spraying and Machine tending. 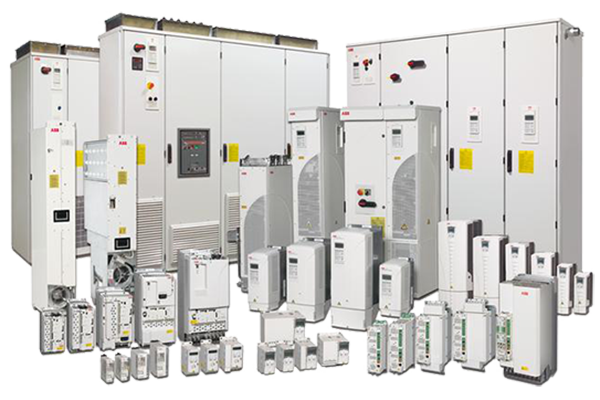 Halcyon Drives are an ABB Robots Certified Partner, and can supply the full turnkey package from Control Systems to Electrical Installation & Commissioning including interfacing with existing equipment, and robot programming using off line Software. To support the Turnkey Contracts and Panel Building Facilities, Halcyon Drives provide a comprehensive Site Installation & Commissioning Package. We offer competitive hourly & daily rates and provide this for the home and overseas markets. Halcyon Drives offers a wide range of services for electrical and mechanical installation projects. Each of these services can be provided individually, or can be combined in any configuration to create a bespoke service that specifically meets the requirements of the customer. Halcyon Drives Project Engineers both design and test the Control panel/system so when commissioning onsite they have full and comprehensive knowledge thus minimising time during this process. Our engineers are instructed and participate in fully proving and setting plant to operate correctly, efficiently & energy efficiently. With continued development & training at the fore, our specialist commissioning team ensures longevity of plant operation at the optimal energy efficiency is attained. Value added demonstrations and user training are always integral to the service we offer. Once the commissioning process has been completed, we always record and generate system settings and operational standards attained. These figures are presented within a commissioning certificate. All commissioning works are provisioned with both a parts & labour warranty on completion. It is the policy of Halcyon Drives, in accordance with the provisions of the Health and Safety at Work Act 1974, to maintain safe and healthy working conditions, and safe systems of work for all employees, visitors and contractors. The company has a responsibility to ensure so far as is reasonably practicable, the health and safety of all employees, contractors or visitors whilst at work, and also to those people who may be affected by our business activities. In addition to the responsibilities of the company, all employees, visitors and contract personnel have a legal responsibility to do everything possible to take reasonable care for the health and safety of themselves, their colleagues and others. The company will provide the information, training and supervision required to achieve this. This policy and its procedures will be reviewed at regular intervals, and will be updated and revised to reflect any changes to the business.